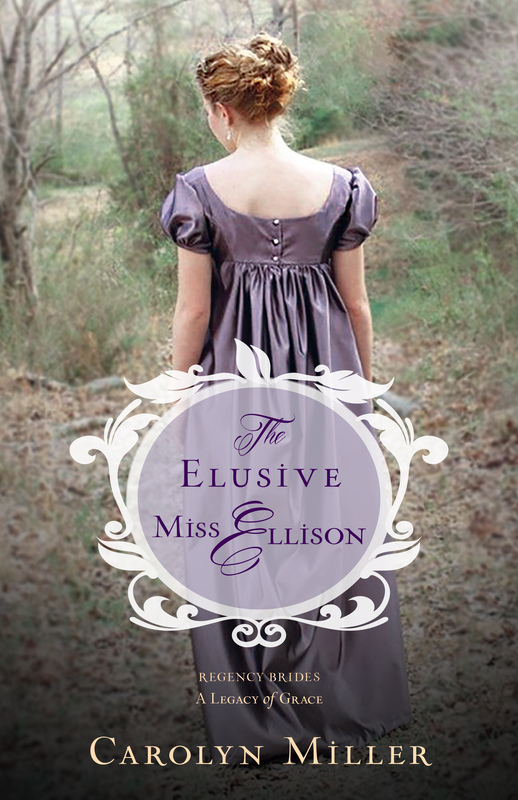 I really enjoyed reading The Elusive Miss Ellison, Book 1 in the Regency Brides series. The regency era is one of my favourite historical romance time periods, and it was a pleasure to read Carolyn Miller’s excellent debut novel. Lavinia Ellison has a heart for the poor people who live in her village. Her faith inspires her to care for the poor and needy, even if there’s a personal cost to her own welfare. Lavinia has lived with the trauma from witnessing the accident that killed her mother when she was a young girl. She was raised by her church minster father and devoted aunt who encouraged her to pursue her love for music. Nicholas Stamford never expected to become the seventh Earl of Hawkesbury, a title he inherited after the death of his irresponsible older brother. A former soldier, Nicholas is a handsome and honourable man who is adjusting to his new life and responsibilities. Lavinia is on a mission to convince the Earl that he needs to repair the dilapidated village homes. She is wary of him, knowing that his brother was involved in the accident that killed her mother. Lavinia is convinced that Nicholas’ questionable character, lack of faith, and higher social standing rule him out as a potential suitor. Nicholas is intrigued by Lavinia, charmed by her beauty, and appreciative of her sharp wit. His mother is scheming to match him with a lady of means who will add to the family fortune and maintain their social status. A delightful twist in the story changes everything, forcing both Nicholas and Lavinia to move in a different direction and question their long held values and beliefs. The story is beautifully paced with lively banter and plot twists that raised the stakes and kept me turning the page. Nicholas and Lavinia develop a friendship and the rules of society dictate how they relate to each other. The faith element is a natural part of the story and we journey with Lavinia and Nicholas as they grow in their faith. I highly recommend The Elusive Miss Ellison to regency romance fans who enjoy a fast paced and entertaining Christian romance. Book 2, The Captivating Lady Charlotte, will release on June 27, 2017.